Now this is a fun meal to make! 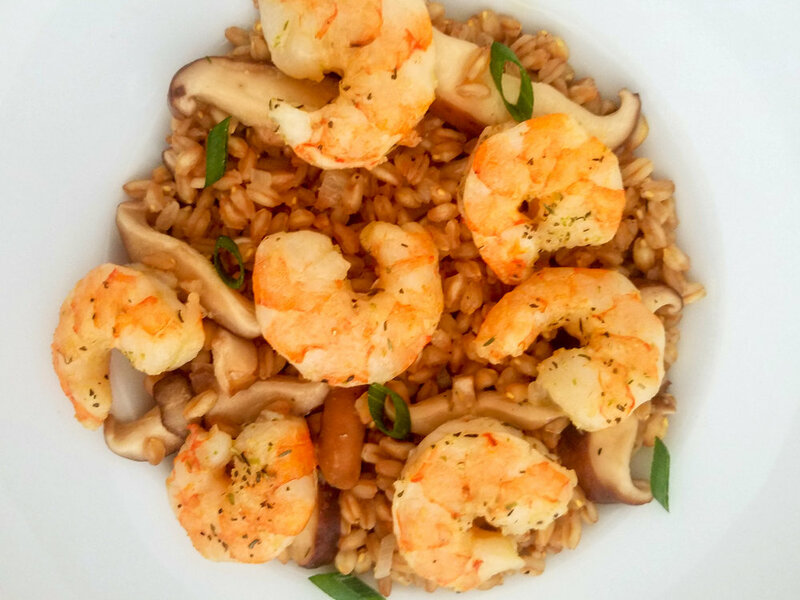 Sage brown butter shrimp over farro mushroom risotto sounds and looks impressive but it is a breeze to make. I recommend using it as a stay-in date night. You’ll be able to catch up while making the meal and enjoy the indulgent taste together. One person can make this meal quickly but if you split up the duties (one person in charge of farro and one in charge of shrimp) the preparation time will fly by! Add 1 cup broth, cover, and simmer on low. Add all the mushrooms and an additional 1 cup broth. When the farro is on it’s second round of cooking, peel and devein the shrimp. 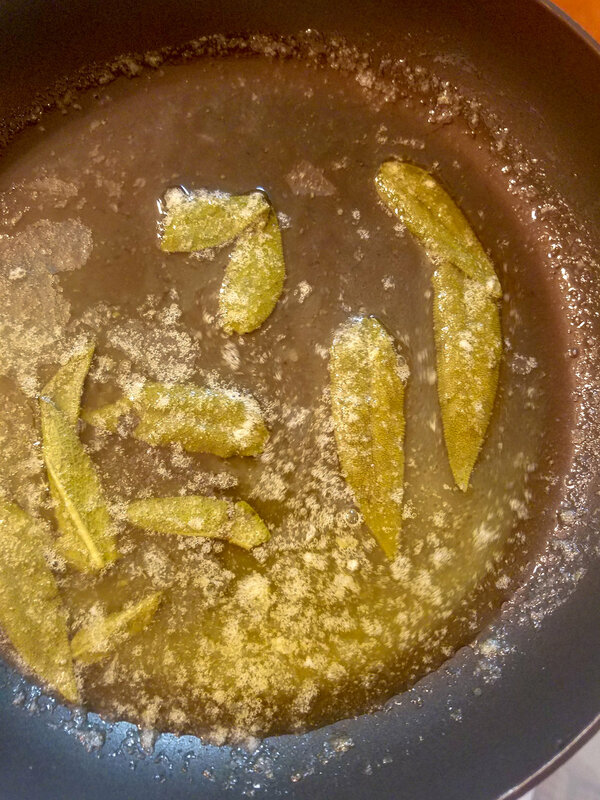 Add shrimp to the butter and sage, using a spoon to baste the shrimp with the butter. I tilt the pan to allow the butter to pool and make it easy to baste the shrimp. After three minutes, flip the shrimp (they should be pink) and continue to cook while basting with butter for another 3-5 minutes until fully cooked.